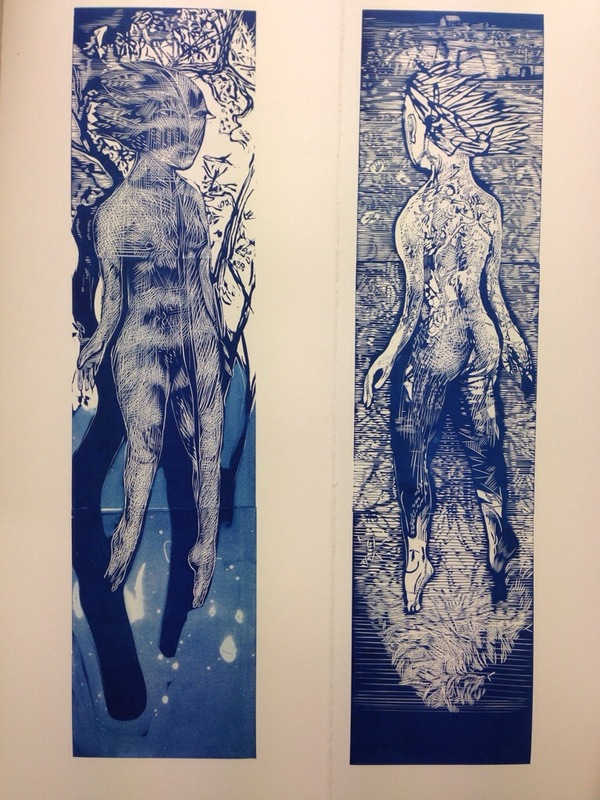 These two prints were started last summer in Crow’s Shadow Press in Oregon. There is a weight of silence in the shimmering breeze. It’s one of the few times I can hear my muscles creak, the blood in my ears and the rush of light filtering through trees: a far world from zone one London.